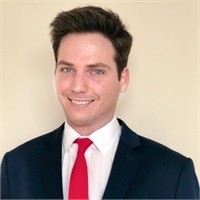 Grady Bonfield is a University of South Florida Finance graduate born and raised in St. Petersburg. With a history in personal fitness, Grady now applies those skills to help people figure out a path to financial fitness. He mainly works with entrepreneurs, business owners, lawyers, and millennial professionals. When he's not in the office, you will find Grady somewhere active or volunteering with the Adopt-A-Veteran program.